Sleep deprivation in America and how it is affecting your health! As a professional NYC personal trainer, I know one of the key elements to getting in better mental and physical shape is a consistent sleep routine. Sleep deprivation is a health epidemic that is impacting more than 86.3 million American adults each and every night, and while the lack of sleep may seem harmless it could be affecting not only your physical health and your mental health, but also America’s bottom line. In a recently conducted survey, it turns out that 34 percent of America adults do not get the proper amount of sleep per night. 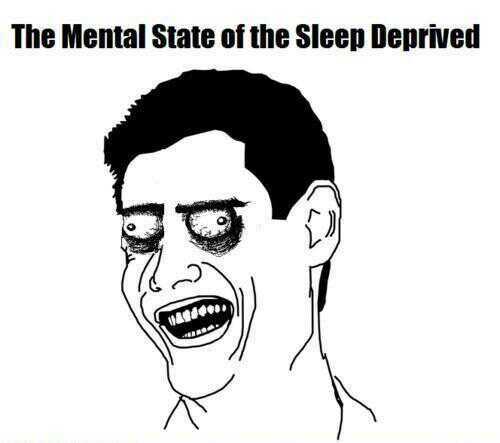 What is the proper amount of sleep you ask? Well, according to the Mayo Clinic an adult (17 years of age or older) should get anywhere between seven and nine hours of sleep per night. Over one-third of American adults aren’t reaching that number. Aside from the obvious drawbacks like being groggy in the morning, or possibly being stuck in a bad mood. There are some potentially very serious physical pitfalls you could be walking into if you do not get the recommended amount of shut-eye each night. Right off the bat if you don’t get enough sleep your body won’t produce the right amount of a hormone called Leptin which is the chemical that tells your body when you have had enough food. Not only that, but your body will also produce a higher level of a biochemical called Ghrelin which, you guessed it, stimulates your body’s appetite. It is no shocker why people who get six hours or less of sleep a night are more likely to have a higher BMI. This isn’t even mentioning the fact that you also raise your chance of getting heart disease. Yes, the same heart disease that kills over 610,000 Americans per year. That accounts for one in every fourth US deaths. The reason this happens is that sleep deprivation can lead to higher blood pressure and chemicals that produce arterial inflammation, both of which have been directly linked to heart disease. Remember that bad mood that you get in when you don’t catch enough Zs? Unfortunately, it may be more than just a bad mood. Insomnia has been known to cause mood swings, and people with chronic sleep issues are ten-times more likely to be diagnosed with clinical depression and 17-times more likely to have clinical anxiety. Getting sleep is good for your mental health, simple as that. One of the biggest impacts that the sleep deprivation epidemic has in America is in the country’s pocketbook. The estimated annual cost of insufficient sleep to the United States in GDP (Gross Domestic Products) is 411 billion dollars. One more time – 411 billion dollars! Just for reference, NASA spent a total of just over 200 billion dollars on the entire lifetime of the Space Shuttle program from 1981 to 2011. You could roughly fund the Space Shuttle program twice, with just one year of what sleep deprivation costs the United States. If you live in the NYC area and are looking for an experience personal trainer, who knows the value of getting enough sleep and coupling it with an effective, aggressive workout routine that produces results then get ahold of me today! This is a guest post by Rob Miller is the founder and author of Supplement Critique, a site that provides unbiased reviews of health products and supplements. He started the site because he was tired of reading all the fake review sites online that promoted products when they hadn’t even tried them. Previous post: The Dangers of Social Media! Next post: The proper mental attitude for the day to day grind the in the gym!